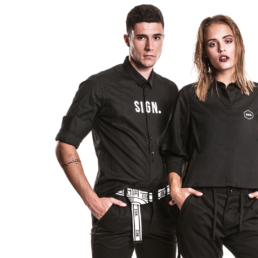 Vertical Shirt BLACK - SIGN. This “Vertical Shirt BLACK” is a perfect fit for men and also women. It’s smaller size so be sure to order bigger size (XL fits L).